The Estonian government on Wednesday approved a structurally balanced state budget for 2019 with a volume of expenses totalling €11.31 billion. "We approved the draft legislation of the State Budget Act," Ratas said at a press conference following the extraordinary Cabinet meeting. "Its volume exceeded the €11 billion mark for the first time." 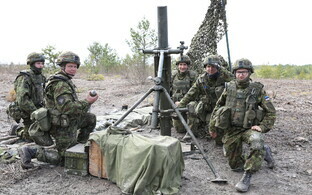 The prime minister added that the budget will reach the people of Estonia as well as support rural life. According to the state budget bill, the planned volume of income is €11.06 billion. Altogether €7.77 billion, or 70.2% of it is made up of tax revenue. Next year's tax burden will be 33.6% of the GDP, which is 0.2% higher than in 2018. The government is not planning to introduce any new taxes, among other reasons due to the fact that the economic development outlook is positive: the Ministry of Finance is forecasting economic growth in 2019 to be 3% and 2.7-2.9% per year in the following years. The average salary will also continue to see growth. According to the bill approved by the government, the nominal budget surplus of the government sector in 2019 will be 0.5%, or approximately €133 million. The structural position, which in addition to income and expenses also takes into consideration the cyclical state of the economy, is balanced. According to the budget, the loan burden will decrease: while it made up 8.2% of the GDP this year, the indicator will be at 7.4% next year, meaning that the sum total of the loan is €2 billion. According to Ratas, the loan burden should drop to 5.4% by 2022. However, the government sector's reserves will drop: while in 2018 the government sector's financial assets should total 2.18 billion euros, the indicator should be at €2.087 billion next year. The central administration's reserves — the stabilization and liquidation reserves — will mainly decrease, from €878 million in 2018 to €730 million in 2019. 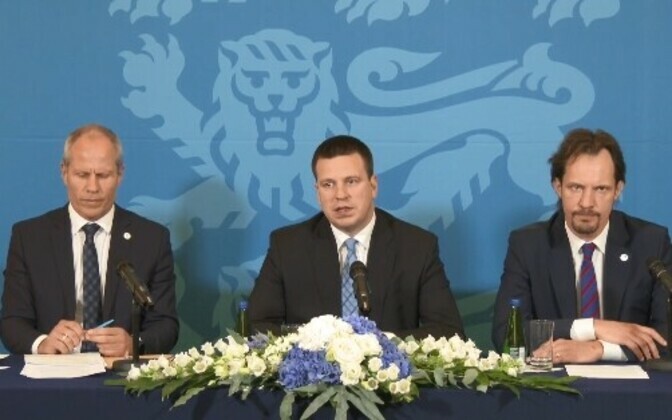 The state budget's letter of explanation among other things said that the liquidation reserve will be reduced next year by the funding of financing transactions, such increasing the share capital of government invested enterprises — for example, Eesti Energia. 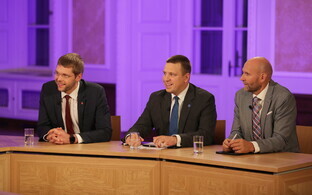 The liquid assets of the Estonian Unemployment Insurance Fund (Töötukassa) and the Estonian Health Insurance Fund (Haigekassa) at the end of 2017 totalled €898 million, while the reserves of social insurance funds according to forecasts will increase to €999 million by the end of 2019, reaching 3.7% of the GDP. According to forecast, the volume of the reserves of the Haigekassa will increase by €45 million by the end of 2019. When it comes to local governments, the reserve reduction to 1.3% of the GDP by the end of 2019 is foreseen. The budget of the Haigekassa next year will receive approximately €180 million of additional money. According to the government, the additional funding will allow for the shortening of wait times, improve the accessibility of healthcare services and the consistency and quality of care. The accessibility of social services should increase, the financing of special welfare services will increase to approximately €37 million, while the funding of social rehabilitation will increase to €12.7 million. The budget of child allowance will increase to €299 million. Beginning next year, the child allowance for the family's first and second child is €60 per month. The volume of expenses will be €11.31 billion. Altogether 33.9% or €3.39 billion of the budget is made up of social protection, the expenses of which will increase by €454 million compared to this year's budget due to the increase in social security benefits and social assistance support. A total of 13.7%, or €1.38 billion, of the budget will go toward healthcare; this sum will increase by €167 million compared to this year. Expenses planned in the field of economy total €1.2 billion in the 2019 state budget, which makes up 10.9% of the state budget's expenses. Expenses planned in the education field total €1.03 billion of the state budget, which amounts to 3.9% of the GDP. The increase in expenses is due to the increase in the salaries of teachers, the growth of the school network program and the increase in the support fund for local governments for expenses related to education. The budget bill sets out €594 million, or over 2.1% of the GDP, for national defence. The salaries of active-service military personnel will increase and the country will boost its military capabilities with large-scale procurements. The total value of procurements makes up almost 40% of the annual defence budget. The amount earmarked for ensuring public order and safety is €522 million, which, just like the defence budget, exceeds 2% of the GDP. The expenditures of this field will increase mainly as a result of an increase in the payroll of interior security personnel. The Police and Border Guard Board (PPA) is set to receive around €13 million and the Rescue Board €8 million for pay increases. In addition to additional funding from the state budget, the average pay of teachers at general education schools will hit €1,500 in Estonia next year. The salaries of kindergarten teachers, social care workers, specialists in culture and other fields are likewise to increase. Investments are budgeted to total €3.9 billion over the 2019-2022 period. This includes investments by state institutions, investment support for different sectors as well as investments made via state real estate management company Riigi Kinnisvara AS (RKAS). Budgeted investments in 2019-2022 will total on the average €968.2 million per year. Investments in important transport and infrastructure projects, rural development and projects in culture and sports are budgeted to total over €360 million next year. Road construction and maintenance stands to get 297 million euros next year, the most important projects being the reconstruction of the Kose-Mäo section of Tallinn-Tartu Highway into a four-lane road, of the Tallinn Ring Road into a 2+2 lane road between Jüri and Vao, of the Aaspere-Haljala section of the Tallinn-Narva Highway into a 2+2 lane road, construction of 2+1 passing lanes in some sections of the Tallinn-Pärnu and Tallinn-Tartu Highways, as well as construction of the Sillamäe Road intersection on the Tallinn-Narva Highway in Northeastern Estonia. The construction of Reidi Road in Tallinn will continue and the reconstruction of the transit road through Narva for €8.9 million will begin. The plans also include financing of the design of the new television complex of public broadcaster ERR. The Foreign ministry will open three new missions abroad and strengthen its representation in the major capitals of Europe. For that the budget sets out approximately 1.8 million euros. The public transport subsidy will grow from €92 million this year to €101 million in 2019, including the subsidy for bus services from €34.8 million to €43.3 million. Most county bus routes are now free as of July 2018, the government's communication office said. 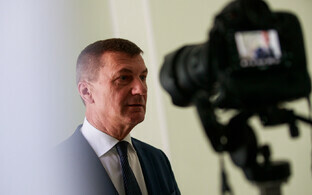 The construction of Rail Baltica and other projects in strategic infrastructure will continue. This year, the technical designing of the railway route and acquisition of land will begin. 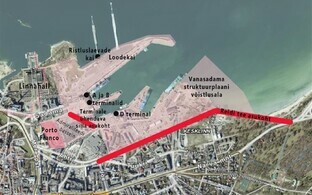 In 2019, the construction of Pärnu Rail Terminal and Ülemiste Terminal in Tallinn will begin, which are planned to be completed by the end of 2020. Work will also begin next year on the establishment of a sustainable and integrated mobility environment between the Old City Port and Tallinn's city centre. The income of Estonia's municipalities will grow by approximately 5% to almost €2.2 billion. Regional programmes for Ida-Viru County and Southeastern Estonia will receive respectively €3.8 million and €800,000, respectively, through 2020, to which external support will be added. The government will continue the payment of direct support to farmers to help keep the Estonian agricultural sector competitive. Payouts of direct support in 2019 are budgeted to total €143.9 million.